We can collect you from your hotel in Ischia and take you to your hotel in Sorrento using the daily hydrofoil that runs each morning and afternoon. We only provide private taxis so you don't share with people you don't know and you'll be able to speak to our English representative at any time throughout the duration of your transfer on the phone or via Whatsapp if you need to. From Easter until the end of October there's a simple connection between Ischia and Sorrento. Every day there are two crossings in each direction by hydrofoil making this a very popular two-location holiday. The transfer begins by us picking you up from your accommodation in Ischia and taking you by private taxi to Ischia Porto. 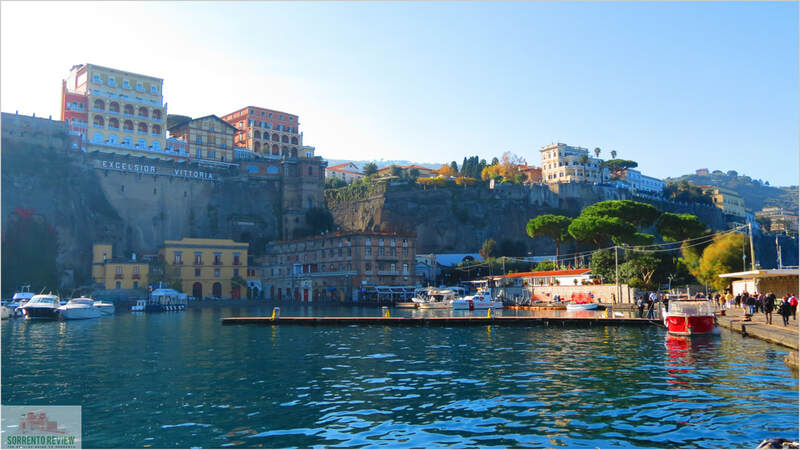 We then give you the hydrofoil tickets for the crossing to Sorrento and when you reach Marina Piccola in Sorrento we have another driver waiting to take you to your hotel in Sorrento or Sant'Agnello, Meta or Pian di Sorrento. ​We can provide these transfers either as single journeys or part of a package that includes other destinations such as Naples Airport. For prices please write to us at info@ischiareview.com stating your dates of travel, the number of passengers and your accommodation in each location. If you don't have the accommodation booked already it doesn't matter, we can still provide you with prices.